Calendars and Christmas cards available now! ~~~Calendar~~~ Oldies Club has produced its first ever calendar, featuring some of the wonderful oldies rehomed by the charity. It’s a desk calendar and the cover features the lovely Lady: The calendar also features dogs such as Cassie the bull terrier, Barney the lab, Marvellous Max, beautiful sponsor girl FeeBee, Dusky Musky, Happy Casper and … Continue reading Calendars and Christmas cards available now! Do you have time to spare and a love of oldies? 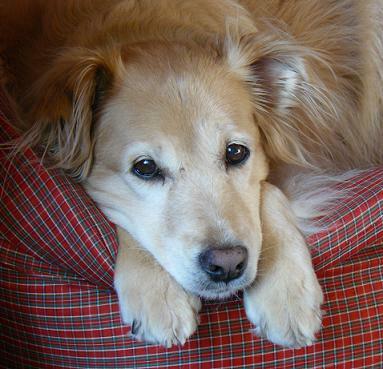 We are looking to recruit Regional Co-ordinators, plus a Writer for the Oldies Club website. 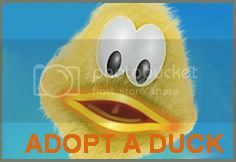 Adopt a duck for Oldies Club! Sunday 31 August The Great British Duck Race, The River Thames, nr Hampton Court. Once again, Oldies Club are taking part in the Great British Duck Race. Ducks are available to adopt now and you could be the winner of a whopping Â£10,000 or one of the other 30 top prizes! Adoption can be done … Continue reading Adopt a duck for Oldies Club! Can you help our sponsor dogs? We currently have a number of dogs in our care that have very little chance of finding permanent homes. Sadly, these dogs have health problems and will need regular medication and special care for whatever time they have left. Oldies Club can provide permanent foster places for these dogs, so that they will enjoy a … Continue reading Can you help our sponsor dogs? Torbay 10km run – Sunday 24 August Oldies Club supporter Robin Gilford is taking part in the Torbay (Devon) 10km run on Sunday 24 August 2008 and is very kindly seeking people to sponsor him to raise funds for Oldies Club. If you would like to sponsor Robin, please email Angela at f@oldies.org.uk with your … Continue reading Run Robin, Run! Why did no-one want Kyle Cocker? We just couldn’t understand why no-one has enquired about Kyle the Cocker Spaniel. He’s a lovely old boy who will make someone’s home complete. Update – Kyle has now found a home! 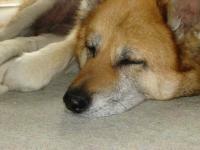 Since the Oldies Club was set up three years ago, we have helped many old dogs find new homes. Now, we are at risk of becoming the victims of our own success. Can you join Trish on her 1,200 mile Trudge? Trish, a slightly crazy(? 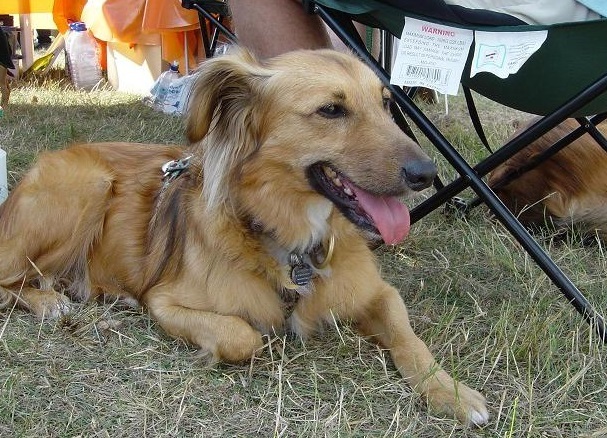 ), but very lovely Oldies Club supporter has decided she is going to walk from John O’Groats to Lands End to raise funds for the Oldies Club and Dogs Trust. She is starting in mid-May and estimates from all the planning and research she’s doing, that she will be walking 1,200 miles, … Continue reading Can you join Trish on her 1,200 mile Trudge? 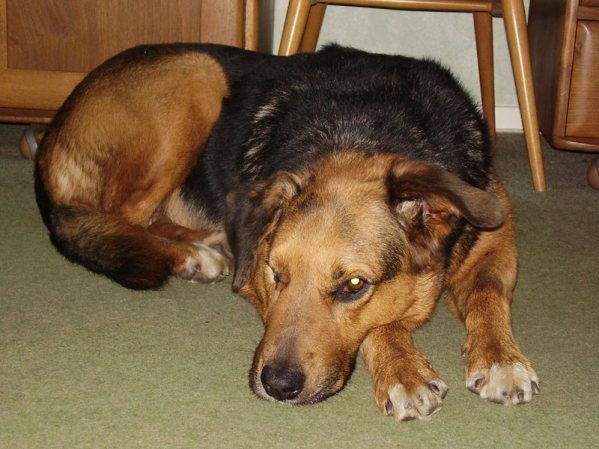 Oldies Club Online Treasure Hunt! Because Oldies Club supporters and helpers are all over the place, it’s harder for us than for most rescues to have a treasure hunt. So we decided to have an online one instead! The secret Oldies Club treasure hidden in the website is a yummy ‘Hamper’ containing various items of Green & Blacks Chocolate – … Continue reading Oldies Club Online Treasure Hunt! Special vet bills appeal – PLEASE DONATE! Because the Oldies Club only deals with dogs that are at least 7 years old, our vet bills are always higher than average for most dog rescues – but at the moment we are particularly struggling with bills. The birthday WISH event on 22nd March has had to be postponed due to the expected bad weather. Oldie dogs don’t like having to stand about in the cold! We will be holding this event on Sunday 6th April instead (to be confirmed). Oldies in waiting… Can you help them? Can you help us to care for the growing list of dogs desperately waiting to join the Oldies Club? Used Stamp Collection Resumed! We are very pleased to announce that we have restarted our collection of used stamps. All stamps, UK and foreign, welcome. Please note there is a new address to send to: Oldies Club Stamps c/o 35 Belle Vue Street Healey, Batley West Yorks WF17 8DD Thank you for your support. Photo competition – Results up – and voting for Best In Show! The competition results are now up for each of the classes – you can see them here. There is also a thread to vote for your favourite Best In Show (open to regular members of the Refuge forum). Well done to all the winners and thank you to everyone who took part, your support is … Continue reading Photo competition – Results up – and voting for Best In Show! Little Gemma the Gem is home!!!!! Creative children needed for Oldies Club Christmas Card 2007 competition! Creative children needed for Oldies Club Christmas Card 2007 competition! The Oldies Club charity is looking for some help from its younger supporters! :) We have launched a competition in the hope of finding a new and unique design for this yearâ€™s Oldies Club Christmas card. The theme is â€œolder dogs at Christmasâ€ and we … Continue reading Creative children needed for Oldies Club Christmas Card 2007 competition! Do you drive? Have a car? A little time to spare? Paul runs South Downs Marathon for the Oldies Club!!! 17 June 2007 – Paul completed the marathon for the Oldies Club. We are extremely grateful to Paul for doing this run to raise funds for the Oldies. Thank you Paul :) ***Please sponsor Paul to run the South Downs Marathon for the Oldies Club*** Paul Loader has very kindly offered to run the South … Continue reading Paul runs South Downs Marathon for the Oldies Club!!! Luxury Leather collar/lead sets – auction! Update 1 April 2007 – the auctions have now closed. Thanks to everyone who bid, all monies raised go directly to the Oldies Club :) The wonderful people at Patch and Scott have very kindly donated a number of truly luxurious leather collar and lead sets to the Oldies Club. A small red leather collar … Continue reading Luxury Leather collar/lead sets – auction! Oldies Club becomes a registered charity! We’re delighted to announce that the Oldies Club is now officially a registered charity. Our shiny new Charity Number is 1118246. Huge thanks to everyone who worked to get this sorted out, particularly our marvelous Special Ops team of Frances and Gio for wrestling with the paperwork, Liz our hyper-efficient treasurer and Cindy our Chairman … Continue reading Oldies Club becomes a registered charity! The K9 Rescue Knitting Club makes dog coats for sale, with all the proceeds going to Dog rescues. This year they have chosen to help the Oldies Club. Max was pining away… But now he’s settled in his new home! Brindle has found his new home for Christmas! Woohoo!!!!! 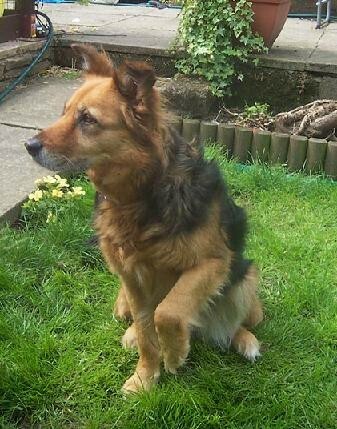 Brindle had been in Oldies Club care for months and, up until this weekend, hadn’t had a single enquiry. 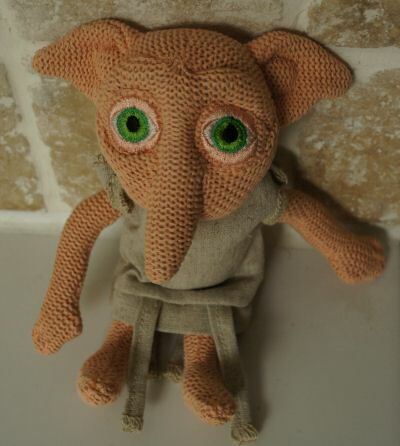 But he’s now in a wonderful new home! Oldies Club Christmas Cards are here! Get your Oldies Club Christmas cards – two designs available. Regular readers will have seen lovely old Bella the Staffie who has been waiting at The Ark, for the chance of a new home, since her owner died. OLDIE SPRINGER MISSING IN BERKSHIRE – Have you seen Tess? Springer Spaniel, Tess, went missing from Ockwells Park in Maidenhead, Berkshire at around 7pm on Thursday 28 September. Have you seen Tess? The owners of Tess, the oldie Springer who went missing in Maidenhead recently, are organising a search party for Saturday 14 October. Please can you join the search? Oldies Posters for download here – AOL and NTL users, please read! Are you with AOL or NTL for your internet access? You may not be getting our email updates! Posters and memos are on our website too, please check them here! The Oldies Club is formally supporting the proposed Greyhound protest march, and if you are an Oldies Club member, you’ll be getting an email to let you know more about this as soon as we know more. 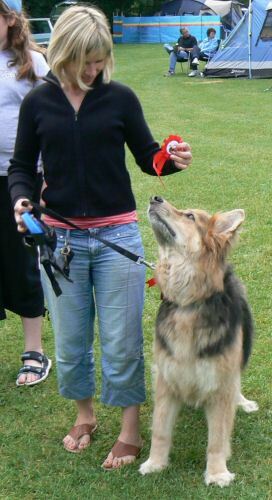 Billy the Wow office dog sponsors the Oldies Club at the Wag & Bone Show! Staffycross aims to obtain 8,000 “signatures” online, one for each of the 8,000 dogs destroyed in council pounds in the UK last year, according to the Dogs Trust 2005 Survey. Being an oldie doesn’t mean you can’t have fun. Some of the Oldies met up for a camping weekend this month. This week is Greyhound Awareness Week, when we remember the plight of the thousands of racing and ex-racing greyhounds. 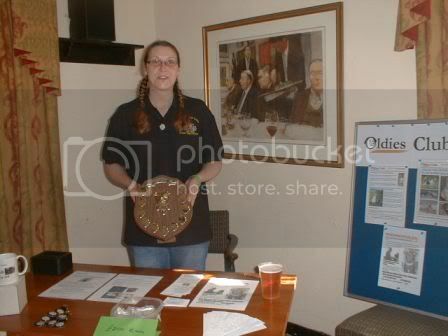 Oldies Club dogs win prizes! Dorothy, one of our first poster dogs, and Tango have both won prizes at the Northern Staffordshire Bull Terrier Rescue sponsored walk event. Oldies Club Birthday Fun Quiz! It’s the Oldies Club’s first birthday this month, so for a bit of fun we’ve put together a fun oldies quiz. Appeal for Information: A male Staffordshire Bull Terrier has been found burned alive. He was wearing a collar, harness and had been muzzled, tightly tied to a tree and set on fire, his remains were found by a dog walker on the outskirts of Handsworth Golf Course, Birmingham on Wednesday 15th February. Oldie dog Seb and his owner have been working hard for the Oldies Club and have appeared on BBC local radio. 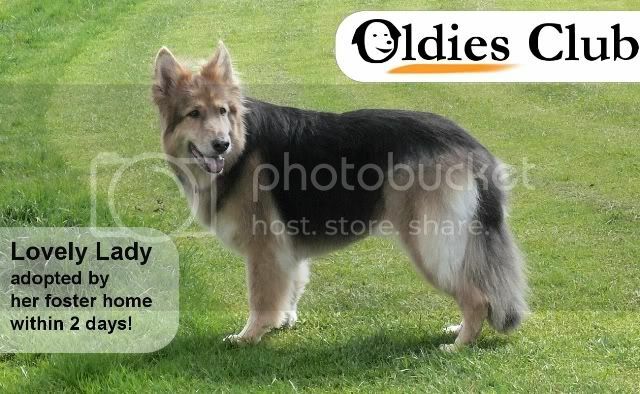 Oldies Club Photo Competition now open – get snapping! Submit your photos of oldies and not so oldies – help the Oldies Club and maybe win a prize! Oldies Club Dog becomes Pets As Therapy visiting dog! 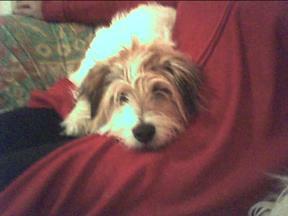 Alice, an oldie terrier, is the first Oldies Club dog to qualify as a visiting Pets as Therapy dog! Buy a Christmas Present & help the Oldies! We’ve put together some ideas for Christmas, from dog toys to books! All benefit the Oldies Club if you buy through these links. Could you help transport a dog? Special appeal for anyone that wishes to help with transportation of dogs for the Oldies Club. Rescues overflowing with Staffies – how can we help? A new organisation – Staffycross.org has been launched to campaign for Staffordshire Bull Terriers and Staffy crosses and help coordinate finding them homes and rescue places. Overlooked Benny has found his new home! Update 2/10/05 Benny has found a new home, at last. Good luck Benny! 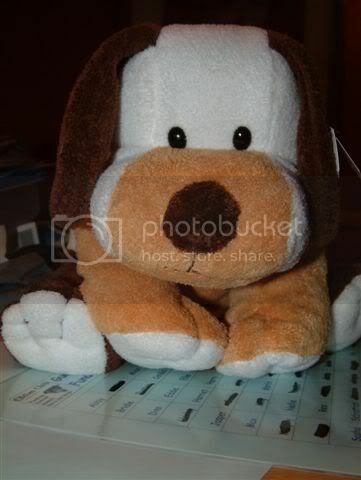 Guess the Name of the Dog! & Pet Portrait Raffle! Hello again :-) I have been running a “guess the name of the dog” competition and still have some names left to choose from! We are also running a raffle, and if you buy one of our raffle tickets, you are in with the chance of winning a pet portrait and loads of other prizes … Continue reading Guess the Name of the Dog! & Pet Portrait Raffle! Registered Charity – Your Member Votes Needed Now! At last, the Oldies Club application for registered charity status is almost ready to go, but there is one thing that needs to be done before it can be submitted. We need to adopt a constitution and elect Trustees and Officers. We are doing this through the Oldies AR forum, as a virtual meeting of … Continue reading Registered Charity – Your Member Votes Needed Now! 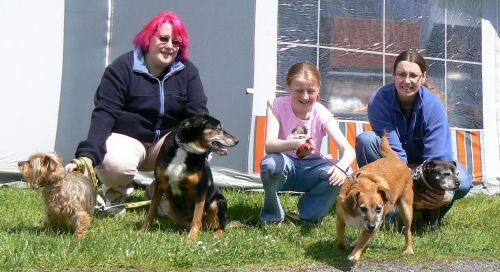 Oldies Club passes 100 dogs rehomed! July has seen the number of dogs featured on the OC website that are now rehomed cross the 100 mark! It never ceases to amaze me how rapidly some of the dogs get rehomed. We had Amy, the staffy with a severe skin condition for only a couple of weeks before her new owner came … Continue reading Oldies Club passes 100 dogs rehomed!